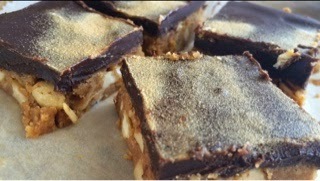 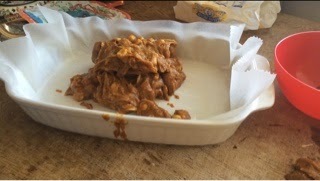 Add 1 tbsp water to the caramel fudges en melt au bain marie. 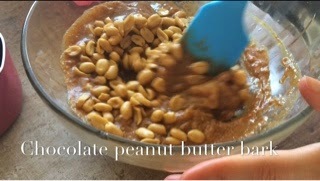 Remove from heat, add the peanut butter, pinch salt and peanuts and stir together. 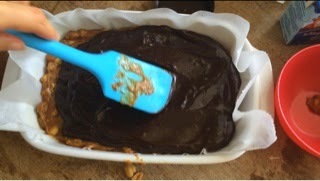 Brush a brownie tin withb butter and line with parchment paper. 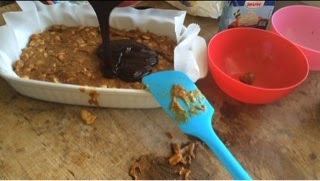 Spread the Peanut butter mixture into the brownie tin. 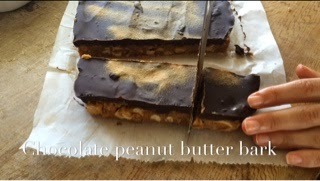 Melt the dark chocolate au bain marie and spead over the peanut butte rmixture. 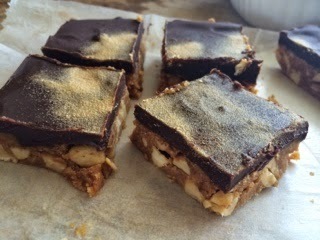 Place for at least 2 hours in the refrigerator.